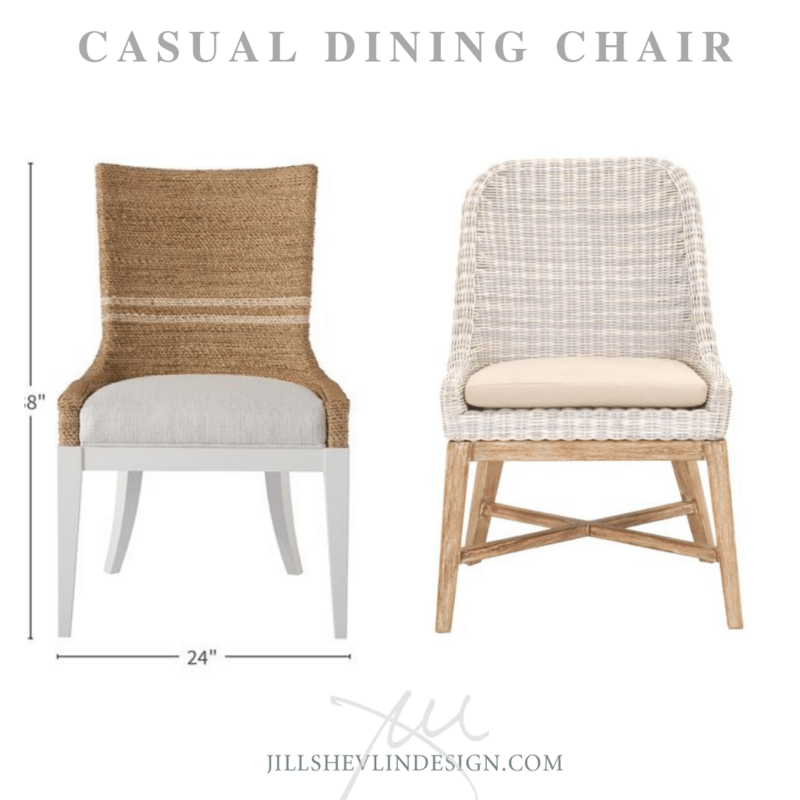 Dining Chairs - Casual Comfy and Great Looking for a Coastal Modern Farmhouse Look. 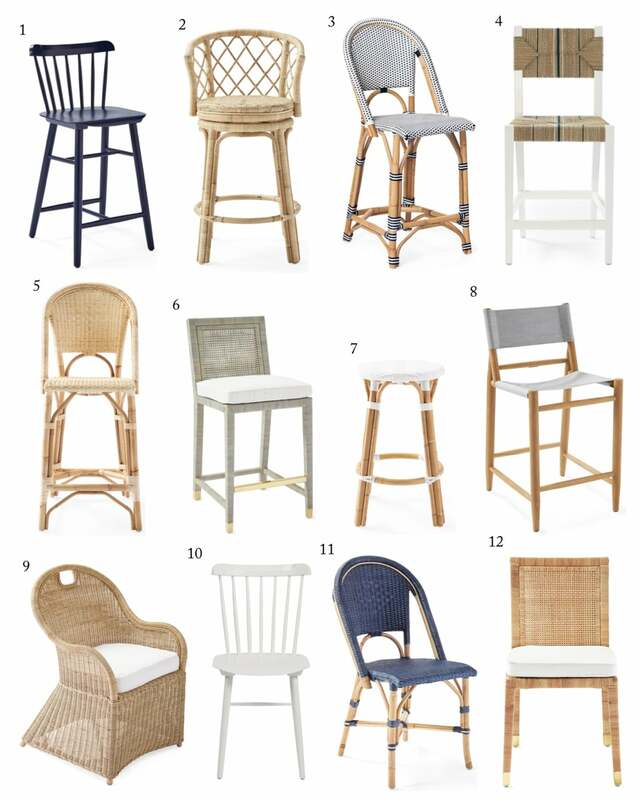 Of course there is any number of different styles of Dining Chairs that could work. Check out a few below. 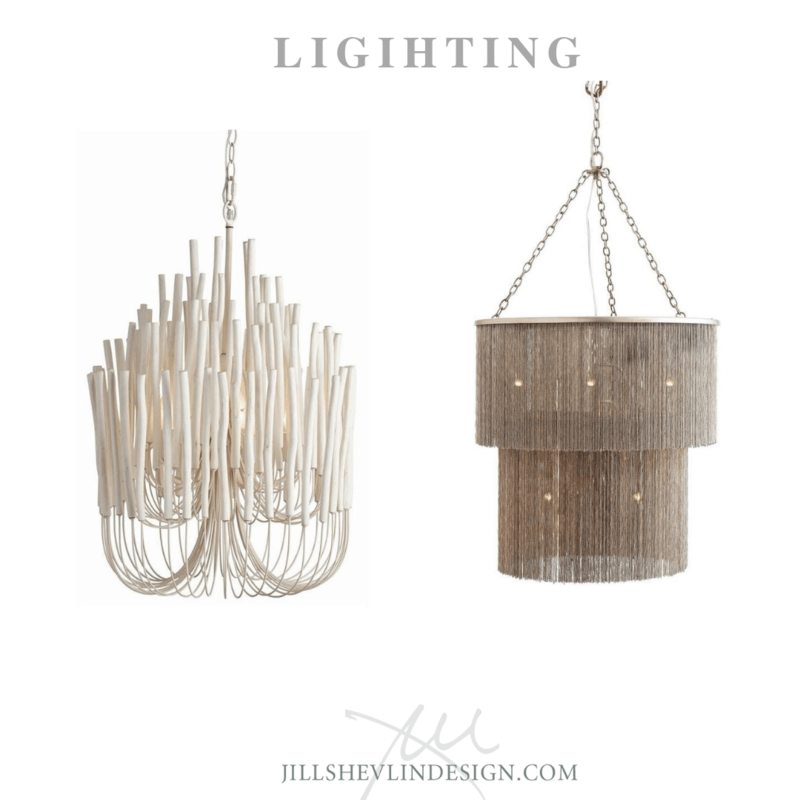 Funky Fun Chandeliers! And...um...a little on the pricy side. So maybe these are not the perfect Coastal Casual Chandeliers. But I Love them and wanted to share. The white on the left is a great light fixture for the center of a large room over a center table. The Gold Dangle is just - well - COOL. I would love to use it over a entry table or in a modern dining room. Depending on Your taste any of the chandeliers below would be a great choice for a Coastal Modern Dining Fixture. This table could easily be paired with any number of chairs to get whatever look suits your style. 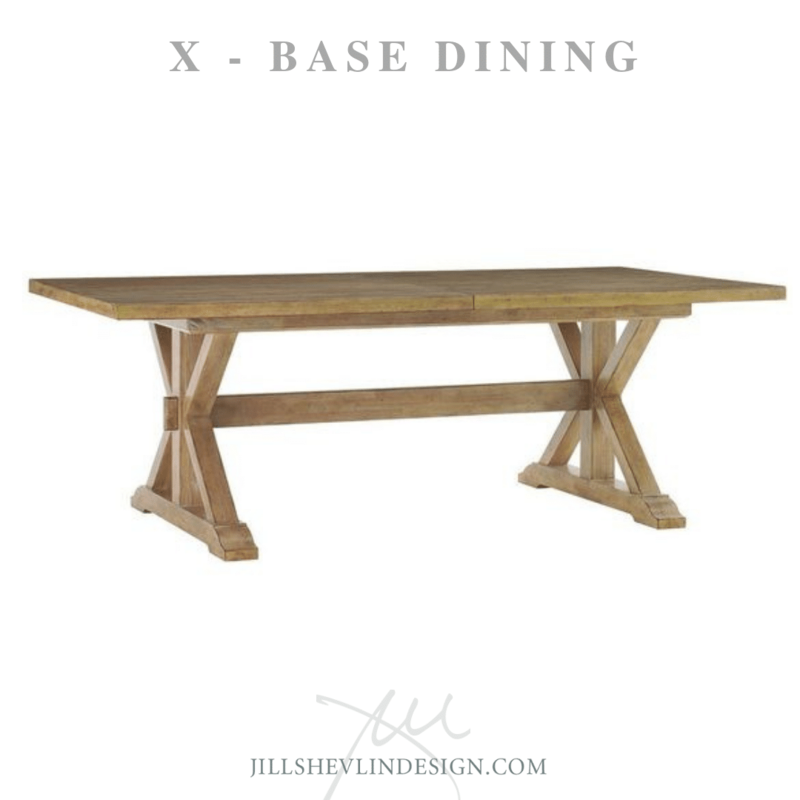 Here a a couple of additional Rectangular Dining Tables that could work as well. If you have a Kitchen Island Counter Stools are Cool! 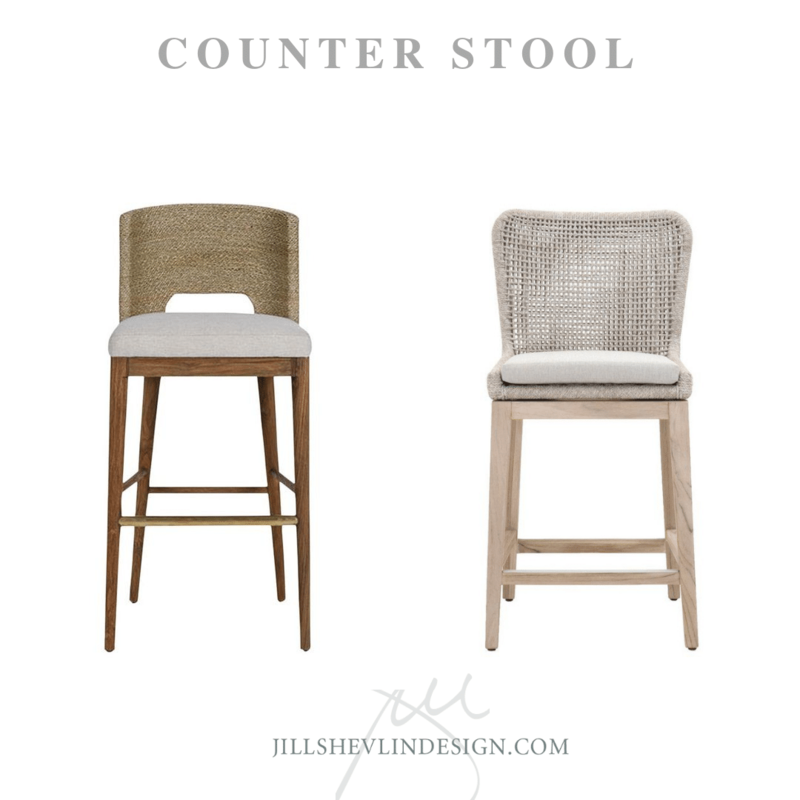 Both of these Counter Stools are good transitional pieces. They are coastal inspired with natural fiber but contemporary in styling. 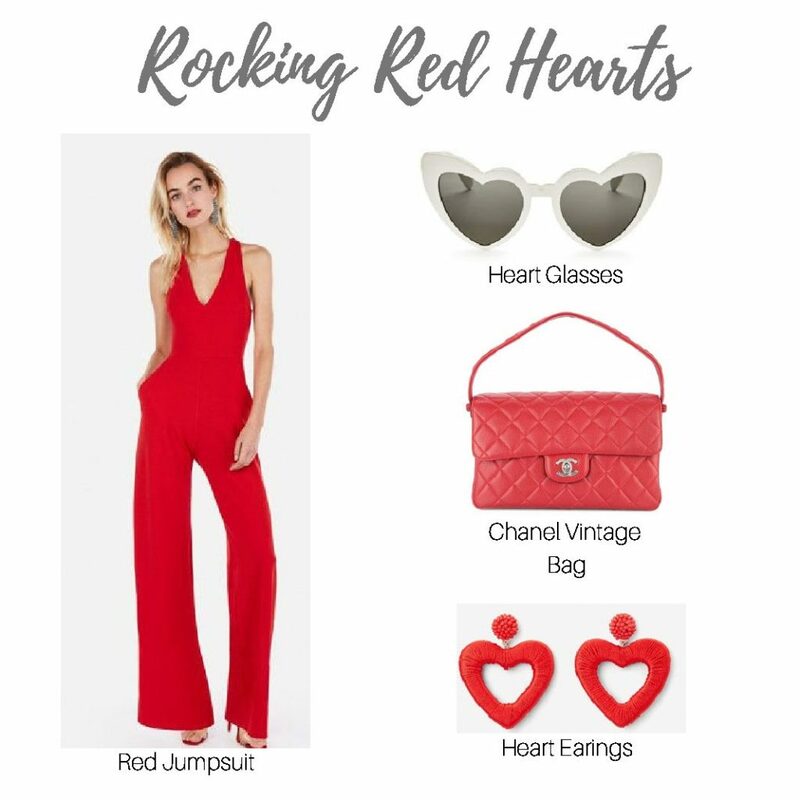 A good look for any style. Not a bad idea if you are ordering any furniture for your home to take a peek at my tips for ordering furniture online HERE. Trust me when I tell you I've had my fair share of online ordering disasters. Better to know what to expect! Pretty Dog Gone Sure I need one (or three) of these for my house! What is the right Sofa Style for you? Your Sofa is likely the one of the most used piece of furniture in your home. 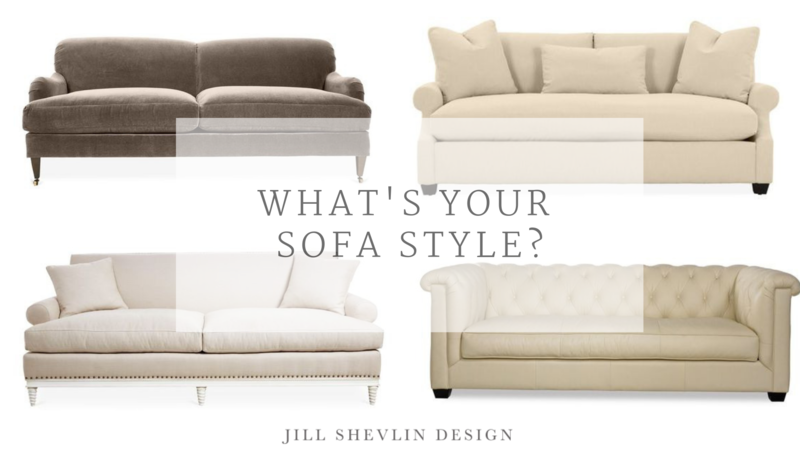 Do you know what your Sofa Style is? Never Ever have I met a shade of blue that doesn't some how - some way - work in every home. You may not be a fan of all shades of blue, but I'm pretty sure somewhere in everyone's home there is a shade of blue something to be found. 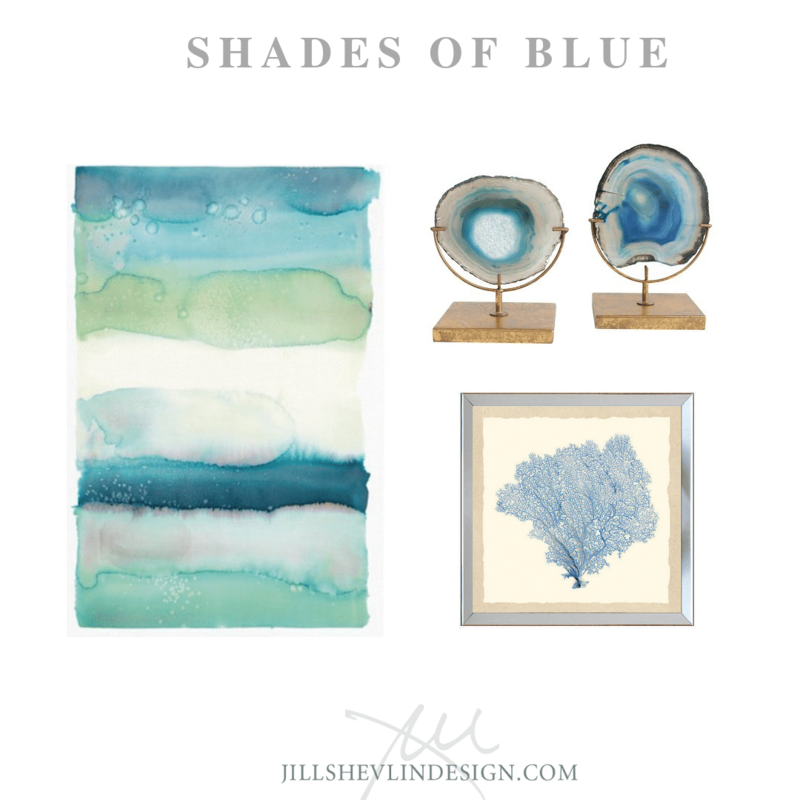 Here are a few of my current favorite coastal inspired items in Shade of Blue. 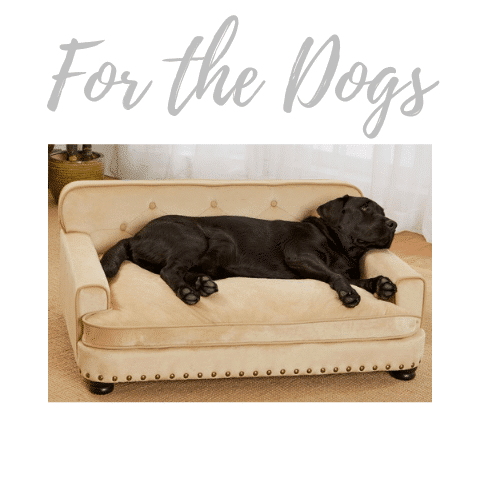 Ahhh.. that wave settee is just so stinking cute! If that doesn't Scream Coastal I don't know what does! It would be perfect in an entry way or under stairs. This lamp is as classic as it can get. Not everyone has a love for Asian or Dragons for that matter, but the crisp contrast of the blue and white is always a good choice for a Traditional Coastal Home Design. Looking for a different style of lamp? 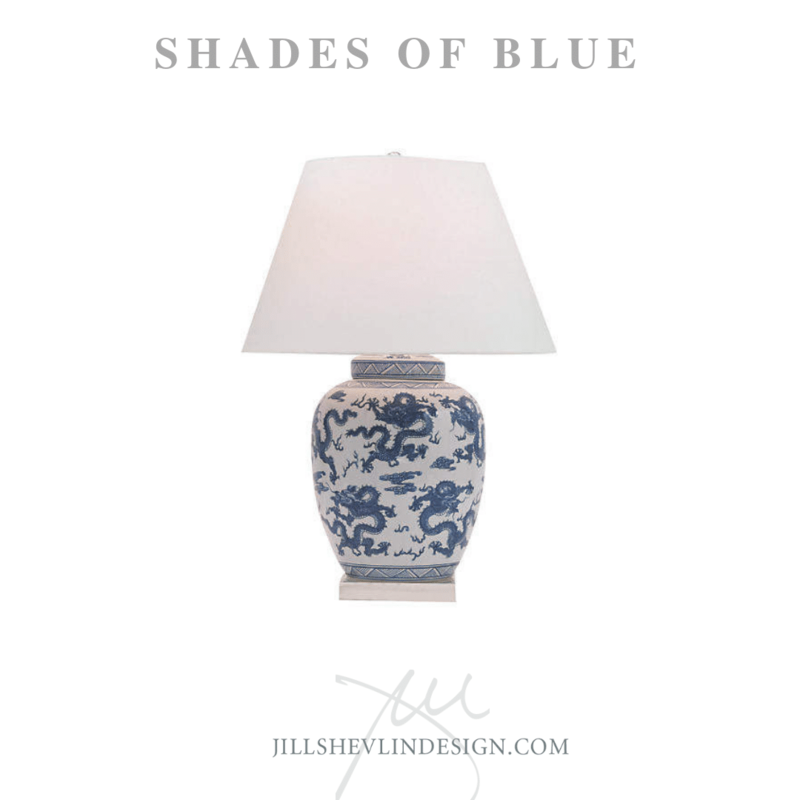 Be sure to check out my shop page where I have grouped all of my favorite lamps by style. There are all sorts of lamps there and if that's not enough for you there is another entire page dedicated to all my favorite chandeliers. 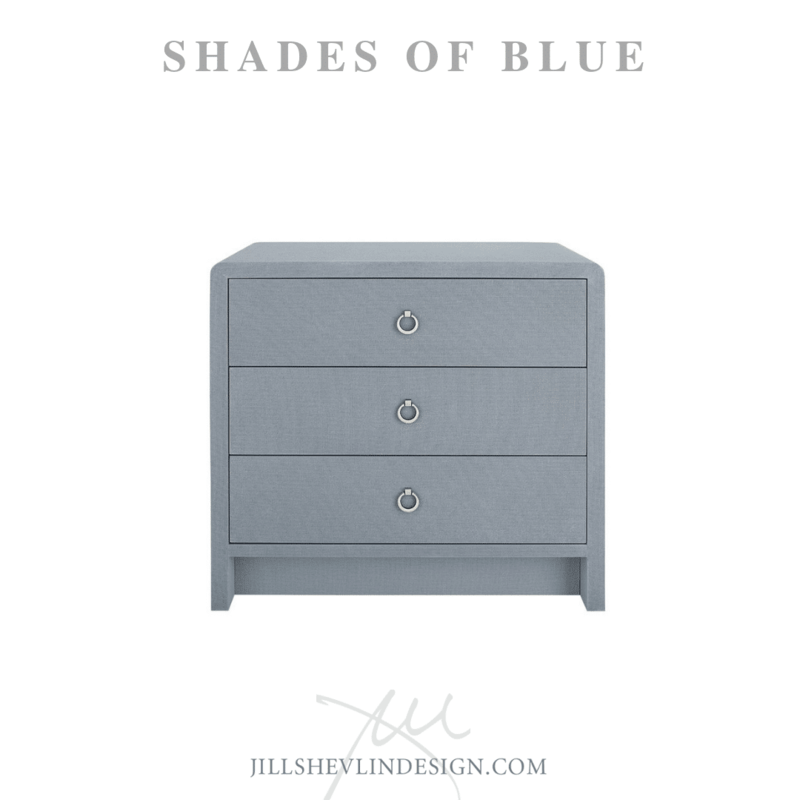 Texture, texture, texture and then some in this lacquered linen nightstand in a simple shape with ease and elegance in the perfect shade of blue with just the hint of gray. The modern pulls are the finishing touch on this piece. For more bedroom furniture check out this page of beds. 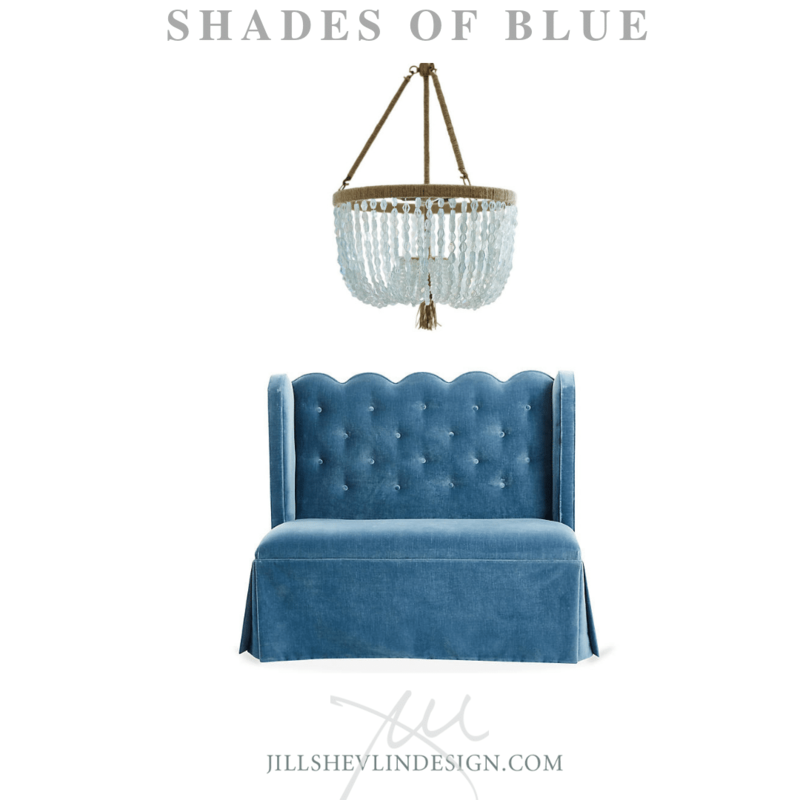 If you can't live with a large blue piece of furniture - get it in the accessories. This large water color abstract painting is bursting with shades of blue, turquoise, aqua and white. Perfect for anyone who doesn't want to take the coastal look literally. These Agate on stands are simple, clean and contemporary way to bring a pop of color in a modern way and just the right amount of coastal inspiration. I can hardly believe that both the painting and agate are from Target - a great look at a reasonable price. Framed sea life is always a favorite of mine. I love a good seaweed or fan or shell or, well you get the idea! Group a collection of smaller framed sea life together to get a big impact with smaller pieces of art. 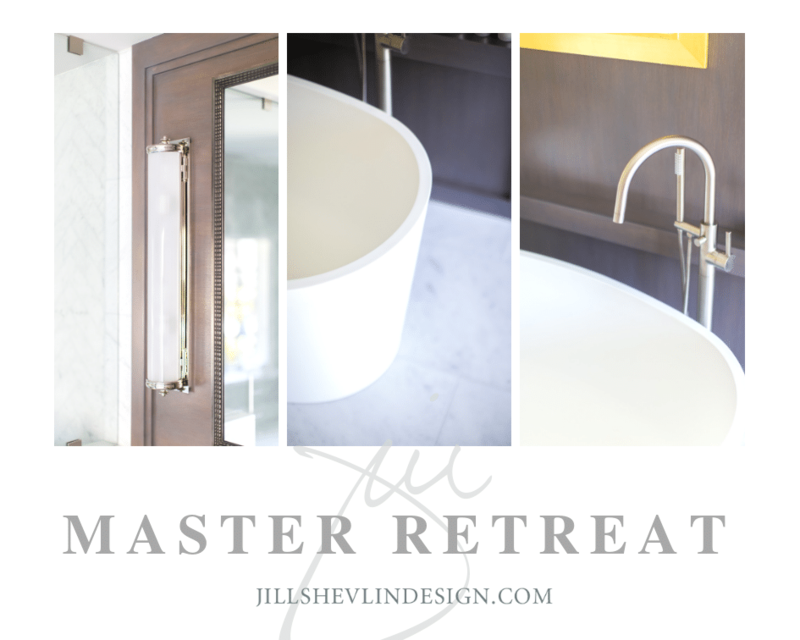 To see more of my Coastal Inspired Designs check out this post I did called Sophisticated Coastal Design. And there's always this post on Coastal Inspired Seating. Well, there you have it just a couple of ideas from me to you in Shade of Blue. I am 100% of the believe that a great rug can make or break a room. Getting the right look takes work and a dedication to finding the perfect fit for both your decor style and lifestyle. 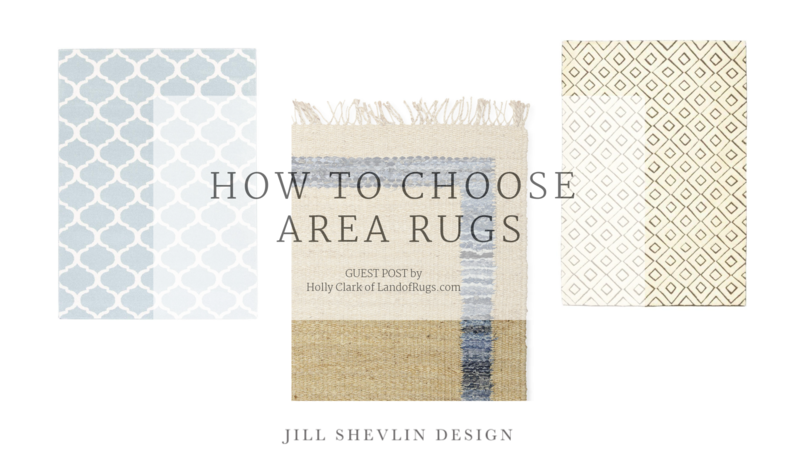 Today's Tips on how to find a great area rug are from a guest, Holly Clark of LandofRugs.com who asked to share her advice on selecting an area rug. Natural materials are a easy Go-To design staple for decorating any home in a Coastal or Casual style. 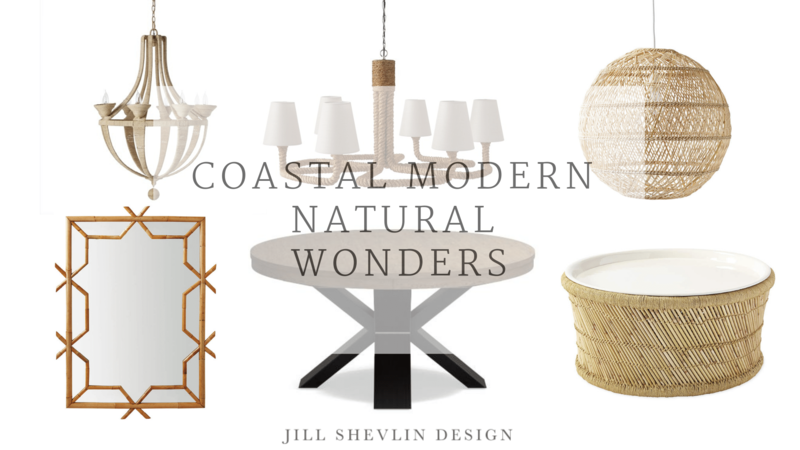 Coastal Casual Furniture galore in this collection of Design Finds. Who doesn't like the casual look of Coastal Design? Well, the good news is Serena & Lily is having a Spring Sale! And you can get most of their items at a 20% discount if you use the sale code below. 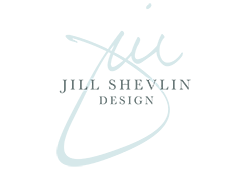 Sourcing and finding great products for your home is work! I know, It's my job! Hope that this collection of coastal dining seating options is a great resource for you. Seven Coastal Designs that are anything but Ordinary. Shopping for home purchases on line can be a tricky affair. There are SO many things to consider and take into account before, during and after you make your purchase. 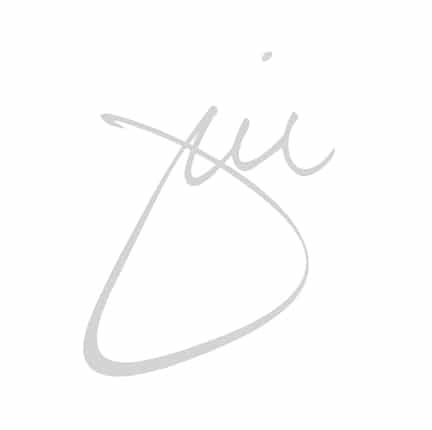 Pop over to this post to see my suggestions for online furniture purchases. Here's to finding the Perfect Coastal Inspired Dining Seating! 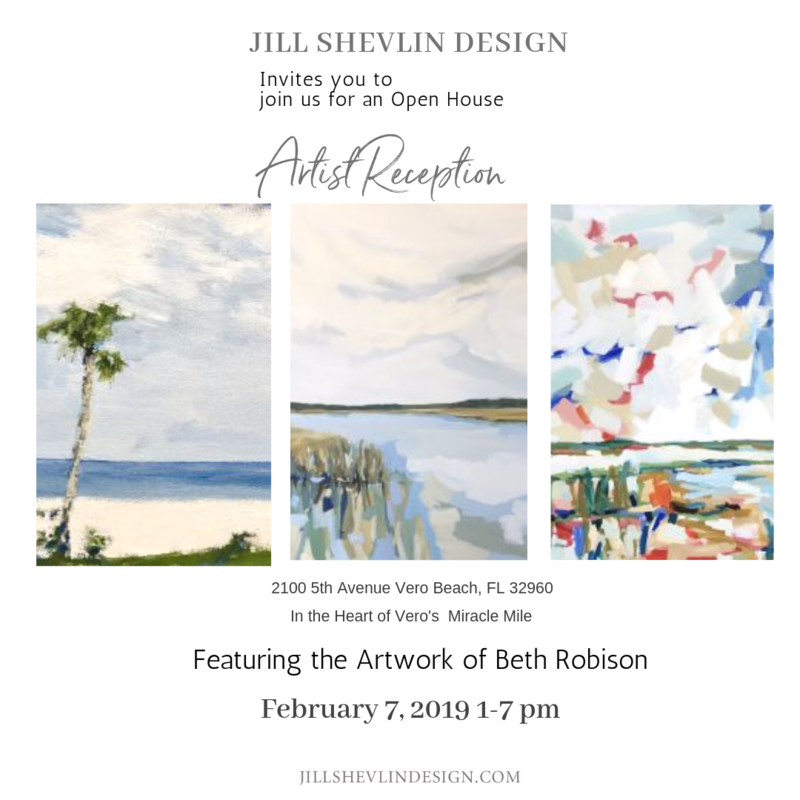 Beth's paintings will be on display in the Showroom until the end of April.